In a scorching hot takedown from Chronicle architecture writer John King, our local arbiter of tall building taste calls the new tower at 222 Second Street, which is leased in full by LinkedIn, "an overbearing 26-story glass box... that has all the charm of a well-tailored packing crate." Of course, the design "would look sharp," says King, "if it were the centerpiece of a sculpture garden." King is serving realness, but his appraisal of the work of Thomas Phifer, a New York-based architect, has a lot to do with its location. It's out of place on a block whose "tone is set by masonry buildings," and maybe it's just out of place in San Francisco altogether. 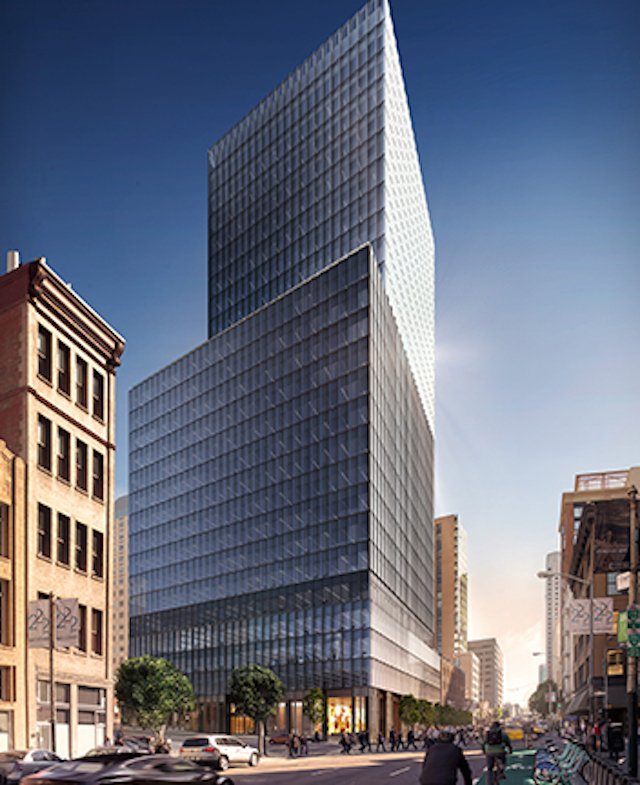 The developer, he notes, is Tishman Speyer, based in New York but with a San Francisco office. "What makes 222 Second so galling is that it’s an alien presence in a well-established setting where other recent buildings have done their best to add to the ambiance, rather than act as if doesn’t exist." According to a Bloomberg piece, LinkedIn's lease includes 450,000 square feet of space for 2,500 workers. There's also 8,500 square feet of public retail space. Yep, says King. It "feels exactly like what it is: a tower designed and built by New Yorkers." He means that in a bad way, you know?